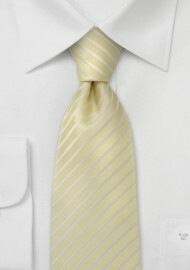 A stunning light yellow silk tie in XL length. Parsley Luxury neckwear uses finest Italian silk that is hand-cut and sewn by skilled craftsmen. The tie gives off a brilliant shimmer and has a soft feel. It is the perfect tie for the spring and summer months. 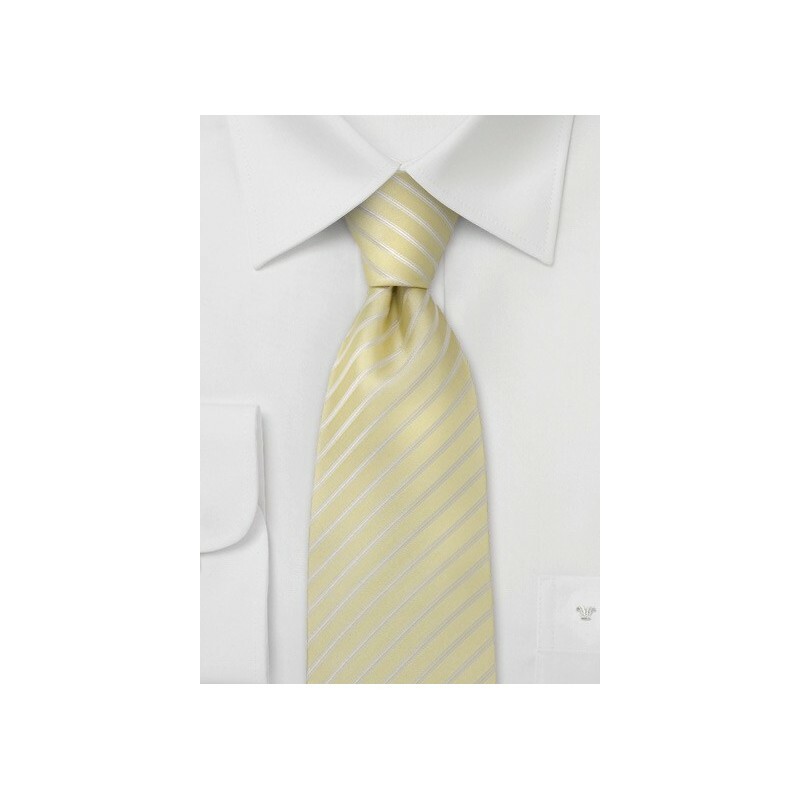 To match this tie we suggest suits in navy, gray, and tan. One of our favorite outfits for this tie: White oxford cloth dress shirt, tan colored suits, cognac-brown shoes and the matching brown belt. Handmade from 100% silk by Parsley luxury neckwear.